Ideal for LARPing in an industrial, Steampunk, or any post-apocalyptic LARP setting, the brick is combat safe, and made with soft but durable foam. Rectangular in shape, the brick is stackable. Three round holes allow for easy grip and aim. 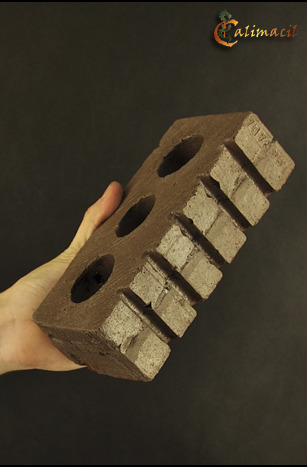 With lifelike color and texture, the brick makes a convenient throwing weapon. Foam bricks also make safe and decorative additions to scenery in LARPs or theaters. Note that one of the bricks we have is solid grey. If you want this one, please indicate so in the COMMENT block on the first page of the Checkout process.